Max Bianco will launch release of his new singles in his first tour of Netherlands from 10/May - 23/May. 'Northeast Bay' & 'H-Town Blues', release May/2018 for worldwide distribution via Friendly Folk Records. We are pleased to have Max Bianco as one of our International Artists under management at My Music Matters-MT and to be sponsors of his new career as singer-songwriter. Max is best known as front-man of the highly acclaimed Industrial Folk band The Jar Family. During the hiatus of the band, Max is embarking on a long awaited solo career. 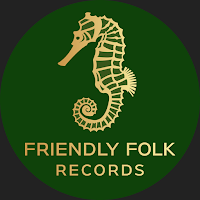 He will release his new album via Netherlands based record label, Friendly Folk Records later this year. If you live in the UK, get out to see Max at one of his many shows. UK agenda follow here: Max Bianco! In the poster below you will find all of the dates of Netherlands tour. Join us in welcoming Max to our little 'kikkerland'!